Malicious Chair is the newest addition to the infamous Malicious family. 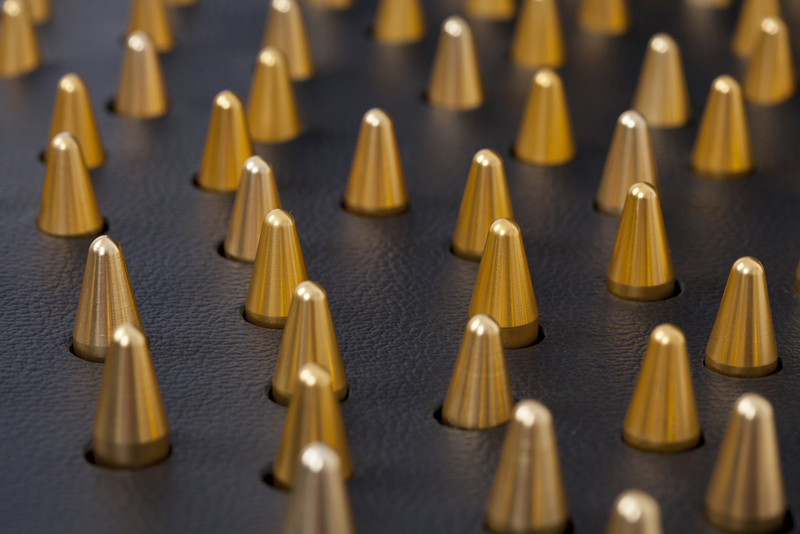 CNC cut aluminium round edged studs located on the seating part moves down, thus allowing the seater to be surprisely comfortable. 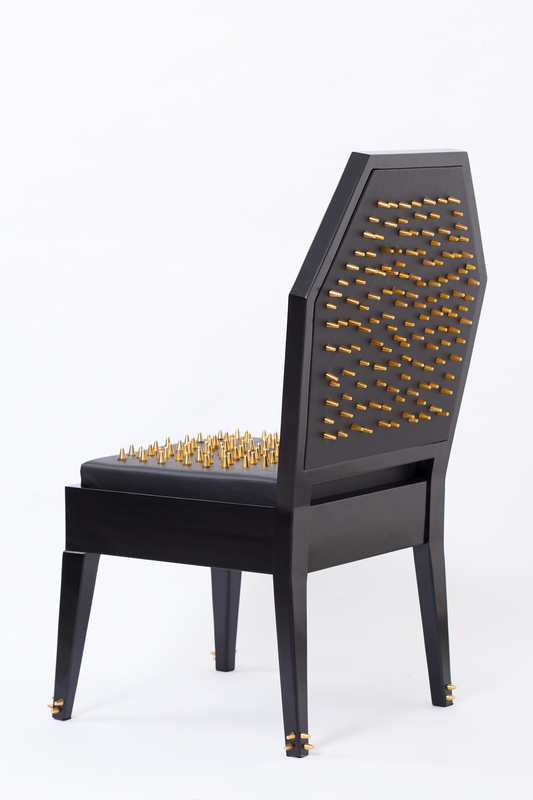 When looked from the side, studs located on the back creates an illusion of unity with the person sitting on the chair. 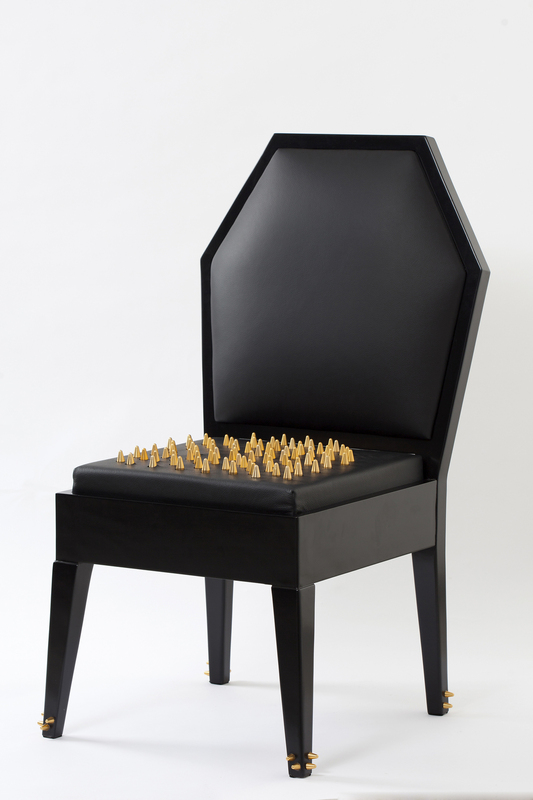 Black matte finish is used on the wood, the metal studs are painted gold and black leather is used for the upholstery.